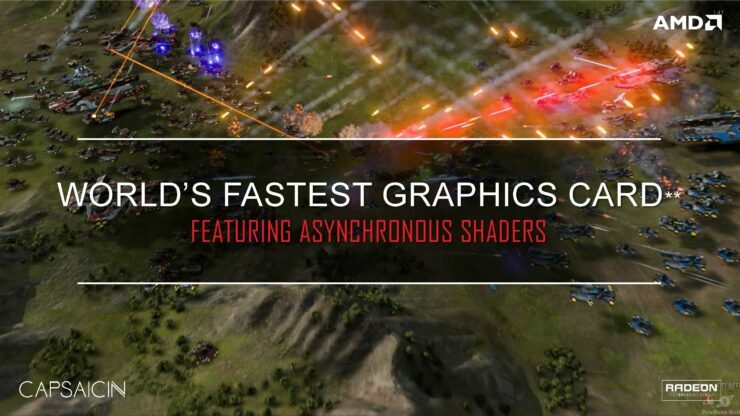 Today AMD is announcing the world’s fastest graphics card. 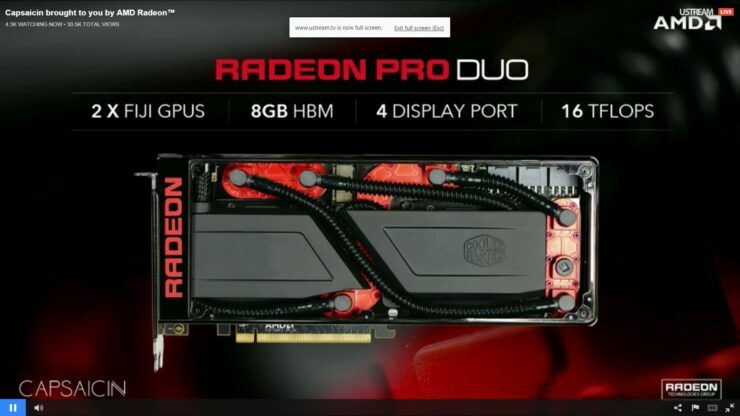 The $1500 AMD Radeon Pro Duo with 16 TERAFLOPs of graphics & compute horsepower. 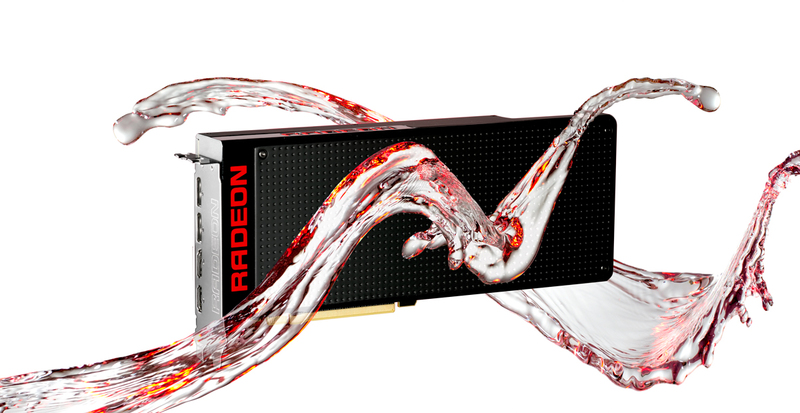 This cutting edge liquid cooled graphics board is powered by two of AMD’s latest Fiji GPU featuring vertically stacked High Bandwidth Memory. 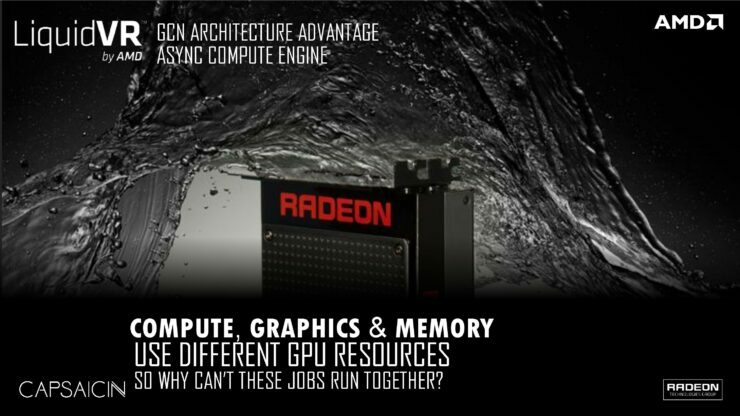 The first and only GPU in the world to use this next generation memory technology. 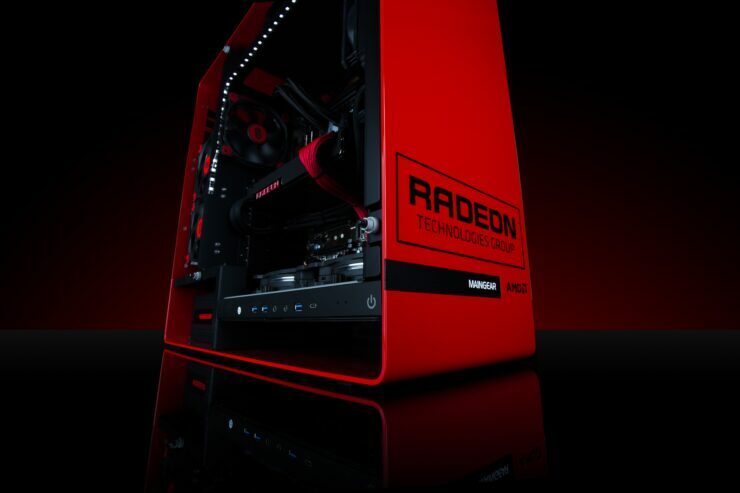 At 16 teraflops the Radeon Pro Duo brings more than twice the compute horsepower of Nvidia’s GTX Titan X which peaks at 7 teraflops and more than three times the performance of AMD’s popular Radeon R9 390 graphics card. 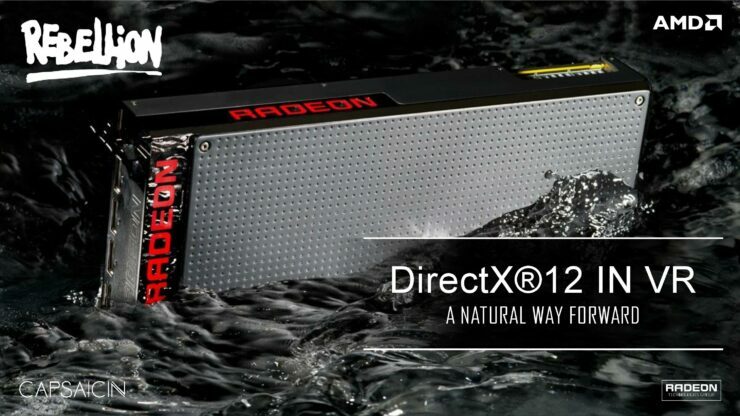 The AMD Radeon Pro Duo is designed with DirectX 12 games and Virtual Reality in mind for both professional VR and DX12 content creators as well as content consumers. 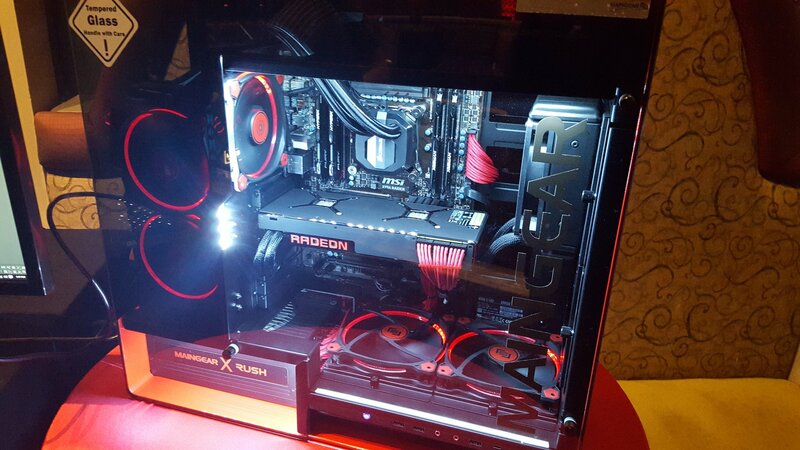 AMD is displaying its Radeon Pro Duo developer systems at GDC in full force. 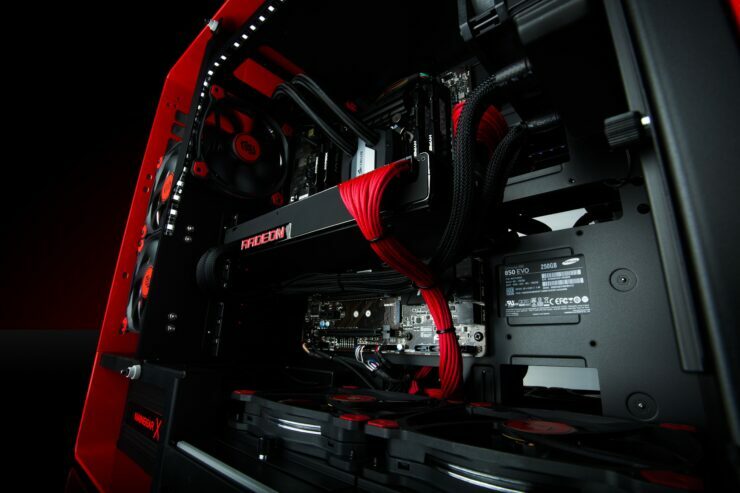 The beautiful system you see below is from boutique system builder MAINGEAR. 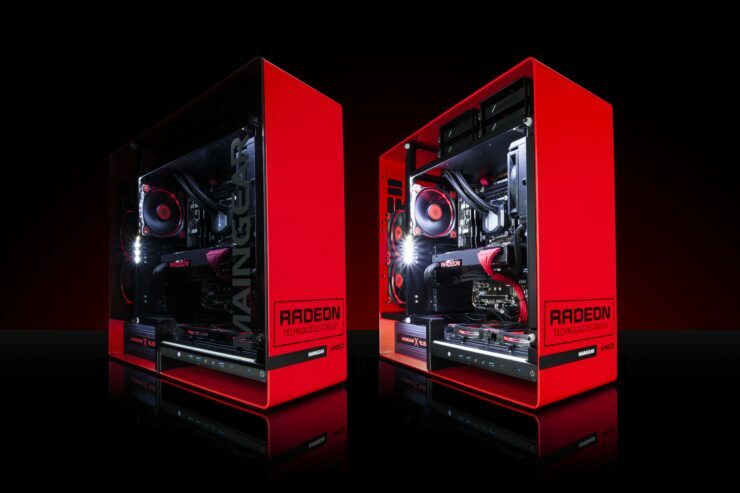 Make sure to check out Keith’s video below for the Radeon Pro Duo’s 3DMark benchmark figures. 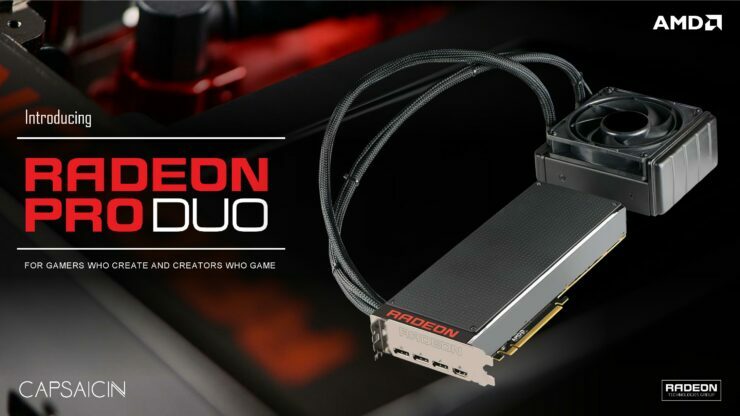 AMD has done away with the dual 8-pin solution it had previously chosen for the R9 295X2 which w operated outside the PCIe 8-pin power spec in favor of a more convenient standard three 8-pin arrangement. 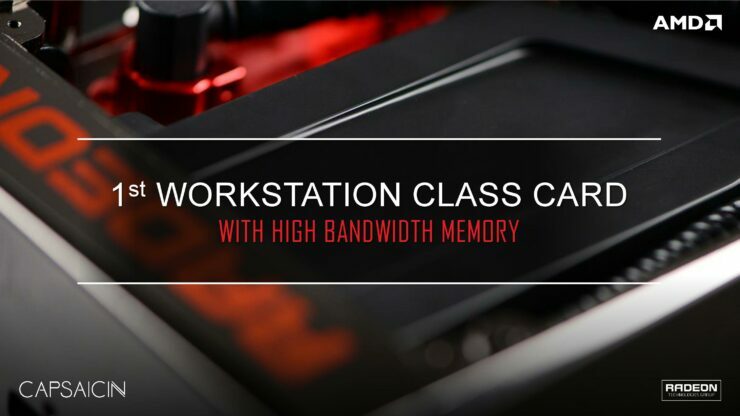 So buyers will no longer have to do any research to try and find out if their power supply’s 8-pin cable meets the spec anymore. Any standard 8-pin will do. SAN FRANCISCO, Calif. — Mar. 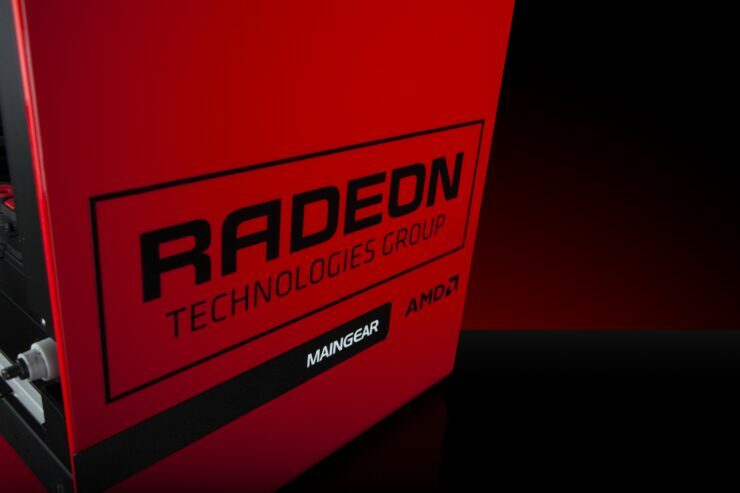 14, 2016 — AMD (NASDAQ:AMD) today introduced the world’s most powerful platform for virtual reality (VR), capable of both creating and consuming VR content. 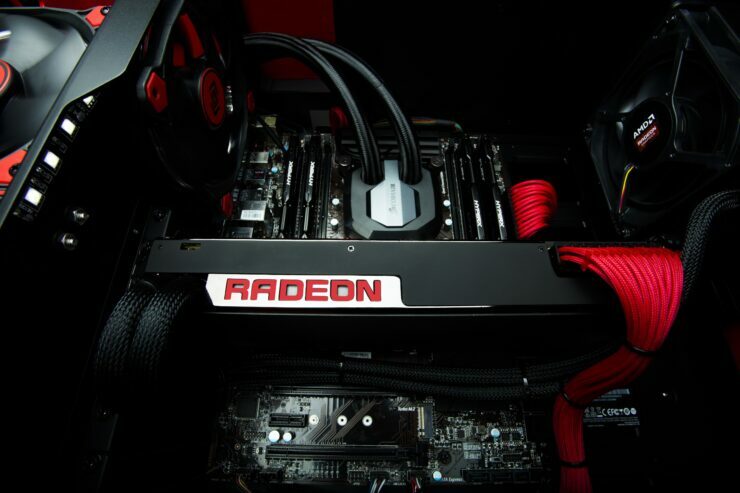 AMD’s Radeon™ Pro Duo with its LiquidVR™ SDK is a platform aimed at most all aspects of VR content creation: from entertainment to education, journalism, medicine and cinema. 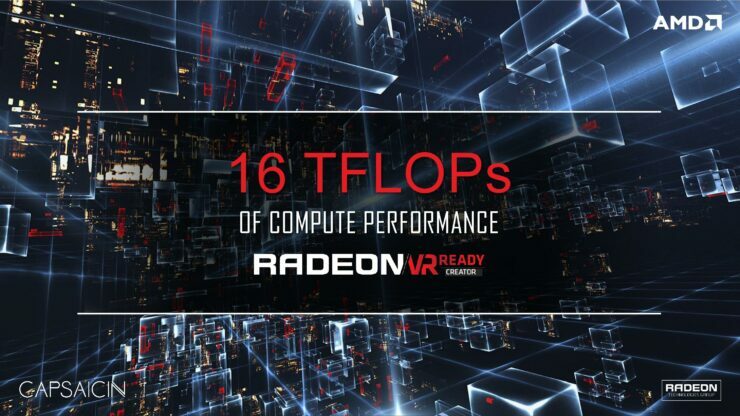 With an astonishing 16 teraflops of compute performance, AMD offers a complete degree solution aimed at all aspects of the VR developer lifestyle: developing content more rapidly for tomorrow’s killer VR experiences while at work, and playing the latest DirectX® 12 experiences at maximum fidelity while off work. 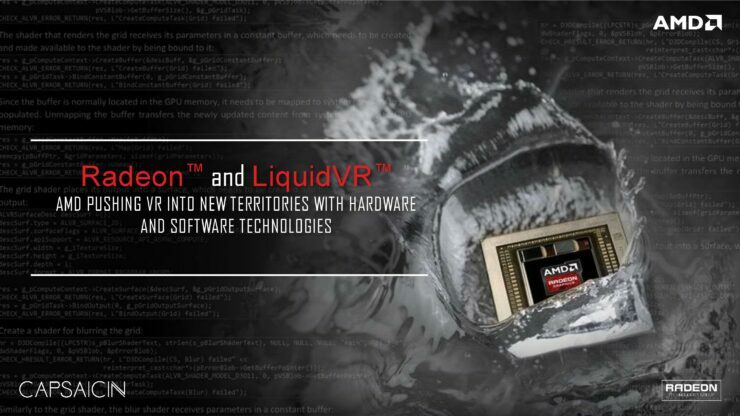 AMD continues to solve major problems developers face by reducing latency and accelerating the VR pipeline through close collaboration with the content development community and with AMD LiquidVR™ technology. 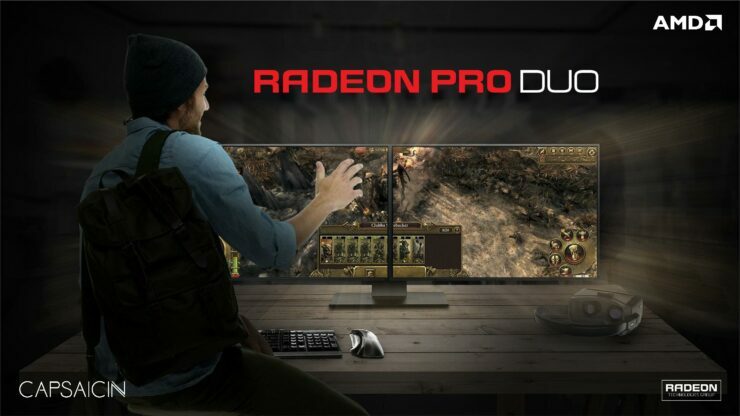 AMD’s next step in advancing VR is with the new AMD Radeon™ Pro Duo, an incredibly advanced and powerful dual-GPU board that delivers the horsepower needed by VR designers, content creators, and for VR content consumers. 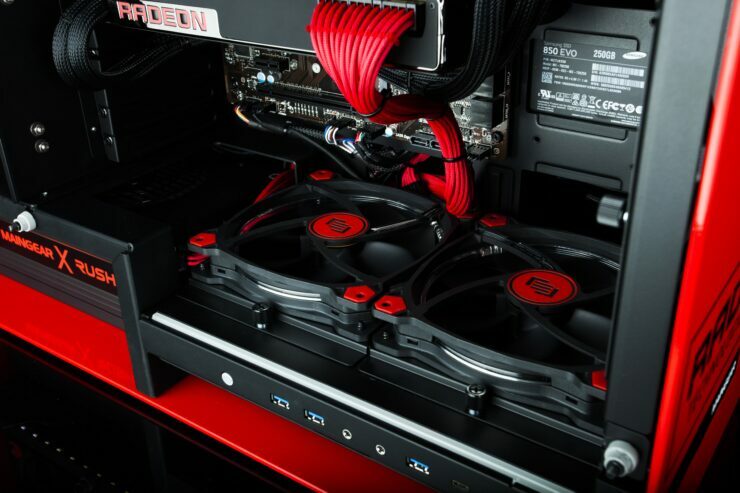 As such AMD has built a fully comprehensive ecosystem around this incredibly powerful hardware to make virtual reality a reality. 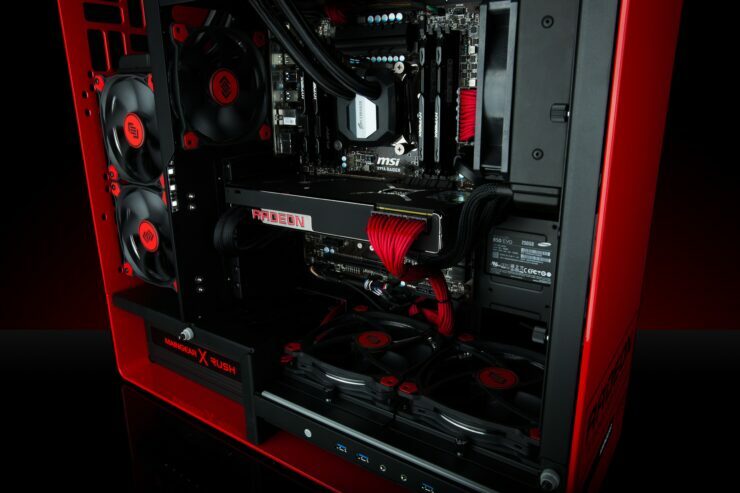 With LiquidVR acting as the software backbone by which developers can bring life-like experiences to the virtual world on AMD hardware. 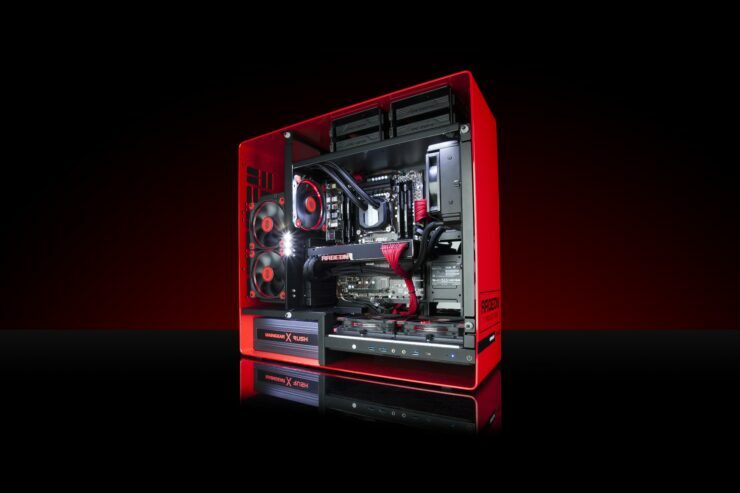 AMD Radeon™ Pro Duo is the initial product of the AMD VR Ready Creator line. 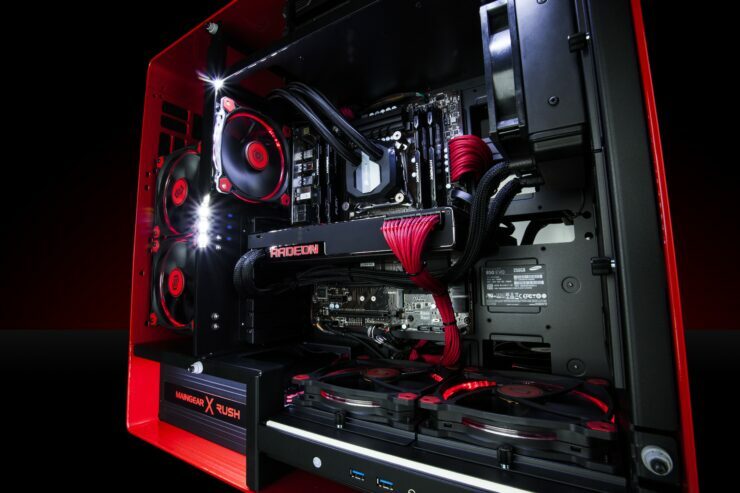 The AMD Radeon™ Pro Duo with the LiquidVR™ SDK is also the platform of choice for Crytek’s VR First™ initiative for nurturing new talent in the field of virtual reality development by powering virtual reality labs in colleges and universities worldwide. 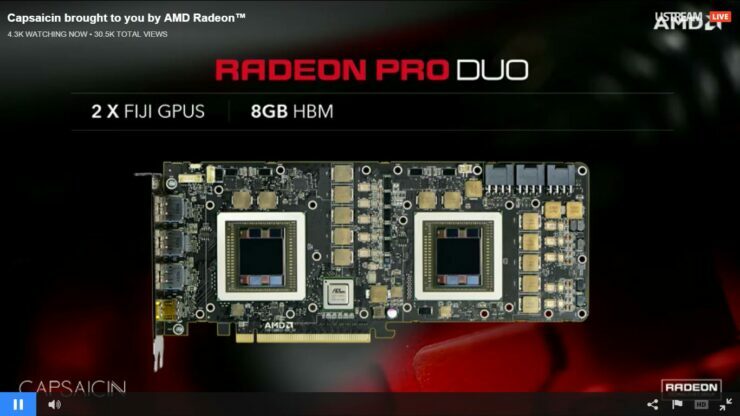 AMD hasn’t yet unveiled all the specs for the card. 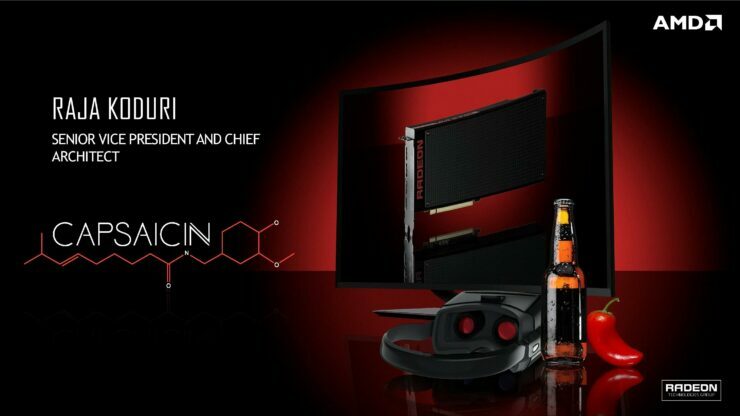 We’re going to have to wait until the card launches. 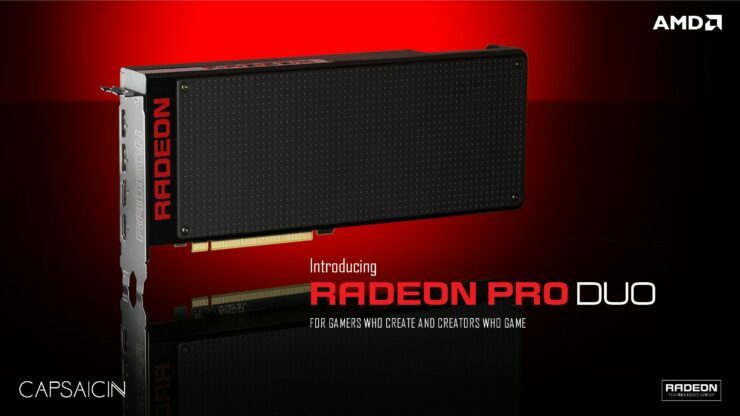 Speaking of which, the AMD Radeon Pro Duo will be available in early Q2 2016, so we’re likely looking at April. 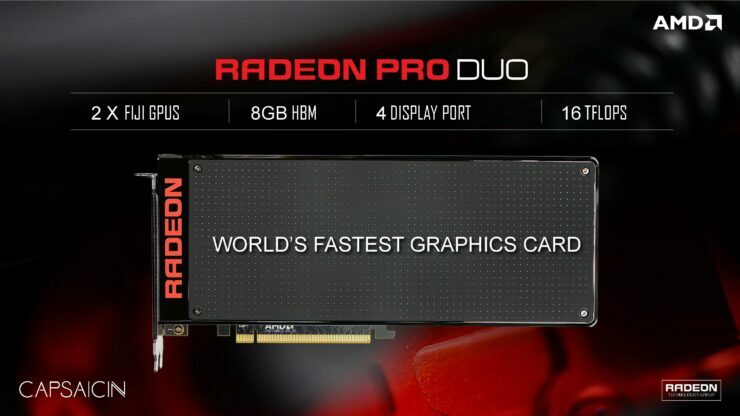 The card will have an SEP of $1499. 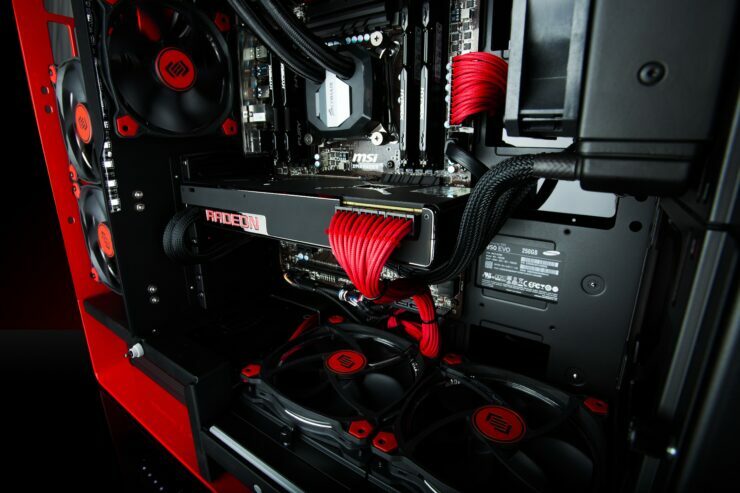 Oh and before you go, we got an exclusive photo for you our beloved Wccftechians.